Canyon Lake residents report butterflies are landing in backyards now. Click HERE for a link of Monarch events in San Antonio area this month. Oct. 26 update: Huge clouds of Monarchs are stopping by Lady Bird Wildlife Center to refuel. Click here to listen to a report by TexasStandard.org. According to Texas Parks and Wildlife, millions of visitors are getting ready to descend on nearby Guadalupe River State Park in Spring Branch. October is Monarch butterfly season. They migrate to their winter home in Mexico each year, passing through central Texas and along the coast, stopping only to eat and sleep. Guadalupe River State Park is right on their route. Michael Warriner, TPWD’s nongame animal program leader. 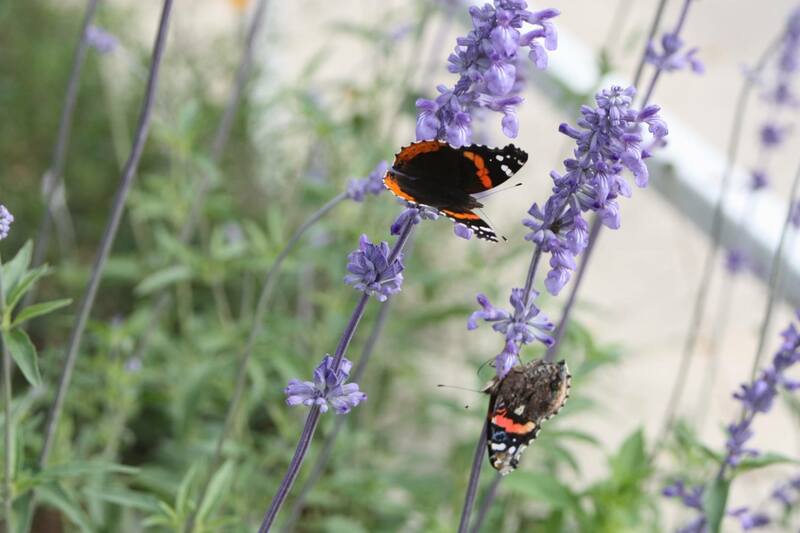 says local residents can assist intrepid butterflies by taking part in the Texas Pollinator BioBlitz, Oct. 7-16. Sign up to receive daily challenges, then look for monarchs or other pollinators and share your findings online with the hashtag, #savethepollinators. “Texans across the state can make contributions to monarch conservation and support populations of native pollinators by simply providing good-quality, flowering native plants in their yards or on their ranches,” he says. The monarchs can increase their weight almost 3,000 times in 10 to 15 days when milkweed and other native flowering plants are available to them. Lindheimer Chapter (Comal County) of Texas Native Plant Society provides links to further information about monarch migration. According to TexasButterlyRanch.com, on May 26, Texas joined Minnesota, Iowa, Missouri, Kansas and Oklahoma in signing a Memorandum of Understanding initiated by the Federal Highway Administration. 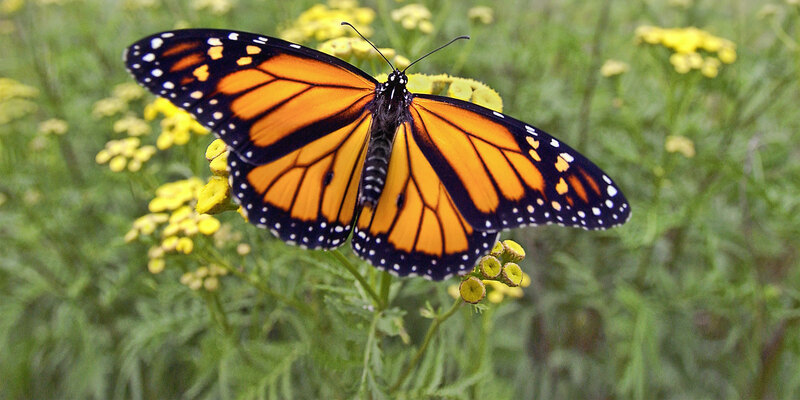 The agreement encourages collaboration among the states to establish best practices and promote public awareness of the Monarch butterfly and other pollinators, and commits the states to plant native milkweeds and nectar plants along IH35, the primary flight path for the migrating insects. A Monarch Highway logo and signage are also in development. “The I-35 Hill County rest areas are going to be planted with pollinator gardens in the next two months,” said Mark Cross, a spokesman for TxDOT. Plants include 15 species of wildflowers: Black-eyed Susan, Bluebonnet, Butterfly Weed, Common Milkweed, Crimson Clover, Indian Blanket, Lance-Leafed Coreopsis, Mexican Hat, Missouri Primrose, Prairie Verbena, Purple Coneflower, Annual Phlox, Pink Evening Primrose, Plains Coreopsis, and Purple Horsemint.